OSIRIS-REx Project Scientist Jason Dworkin challenged players of the popular online game Kerbal Space Program to replicate NASA’s OSIRIS-REx mission. Gamers will use the virtual tools and supplies provided by the game to construct their own OSIRIS-REx spacecraft (also known as the Origins, Spectral Interpretation, Resource Identification, Security-Regolith Explorer), collect an asteroid sample, and return it safely to the home planet. Kerbal Space Program (KSP) is set on Kerbin, a fictional Earth-like planet that is home to enthusiastic space-faring creatures known as Kerbals. Players are in charge of Kerbin’s burgeoning space agency, and can build rockets and perform space exploration missions using realistic physics and orbital mechanics. Sounds easy, right? Well, while you don’t need a physics degree to understand the game, KSP comes with its own set of weights and requires accurate measurements to successfully launch rockets. If your in-game rocket is too heavy, it will never get off the ground. 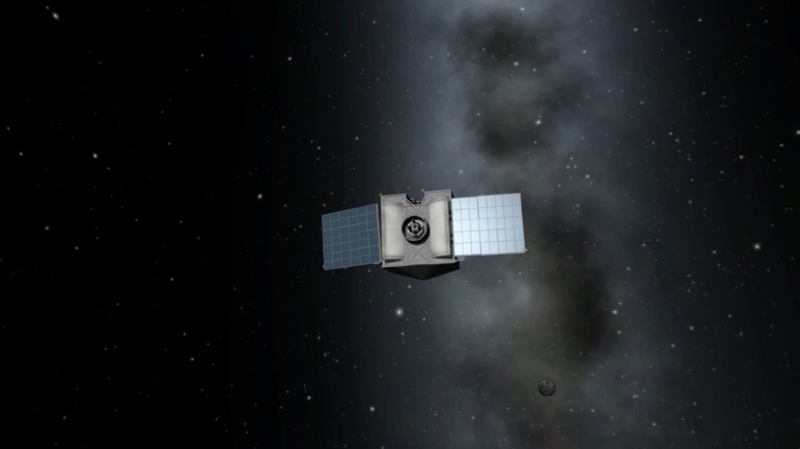 Dworkin, who has played the game since 2011, posted his attempts at re-creating the OSIRIS-REx spacecraft in the game on a KSP community forum and challenged players to try it themselves. He provided them with some technical information about the spacecraft and mission, as well as visuals of the actual OSIRIS-REx to give them a sense of what it should look like. Players immediately jumped at the opportunity, sharing their successes and failures with Dworkin. “I am very excited to see [an] … OSIRIS-REx team member among the KSP forum ranks,” said KSP gamer Matuchkin in the game’s forum. The community’s response came as a surprise to Dworkin. This is not the first time NASA and KSP have crossed paths. NASA reached out to Squad, the company that develops KSP, in 2013 to implement its Asteroid Redirect Mission into the game. Players can use NASA-based technologies to perform their own asteroid redirect mission. While Dworkin’s challenge to players is not an official partnership with Squad, the company said it would be interested in working with NASA again. OSIRIS-REx is scheduled to launch September 8, 2016. The OSIRIS-REx spacecraft will travel to the near-Earth asteroid Bennu and retrieve at least 60 grams (2.1 ounces) of surface material and return it to Earth for study. Scientists expect that Bennu may hold clues to the origin of the solar system and the source of the water and organic molecules that may have made their way to Earth. OSIRIS-REx’s investigation will also inform future efforts to develop a mission to mitigate an asteroid impact on Earth, should one be required. Lockheed Martin Space Systems in Littleton, Colorado, is building the OSIRIS-REx spacecraft. NASA Goddard provides overall mission management, systems engineering and safety and mission assurance for OSIRIS-REx. Dante Lauretta is the mission’s principal investigator at the University of Arizona, Tucson. OSIRIS-REx is the third mission in NASA’s New Frontiers Program. NASA’s Marshall Space Flight Center in Huntsville, Alabama, manages New Frontiers for the agency’s Science Mission Directorate in Washington.